As senior vice president and institutional consulting director with Graystone Consulting in Chicago, Illinois, James Kolbusz provides asset advisory services for trustees and committee members of public pension funds, endowments and foundations, and Taft-Hartley pension trusts. He oversees the development of asset allocation strategies and ensures that all consultancy services offered by the office abide by regulatory requirements and include proper due diligence. Also involved in trustee education, James Kolbusz travels from Chicago to a number of industry conferences, where he speaks on such topics as performance evaluation and transaction cost analysis. James Kolbusz comes to his directorial role following successful service as a vice president and senior institutional consultant with Graystone. In this role for three years, he acted on strategic opportunities that aligned with client goals and operated within the guidelines of investment policies. He previously served as associate vice president and institutional consulting analyst, in which position he leveraged available data to develop strategy and identify opportunities. 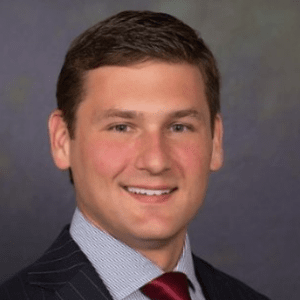 Also a former bond analyst and retirement plan specialist, Mr. Kolbusz holds Series 7, 31, 63, and 65 licenses from the Financial Industry Regulatory Authority (FINRA). He has also earned a bachelor of business administration in finance and is a Certified Investment Management Analyst (CIMA).